Have you been injured in an accident? You may feel pretty good right now, but symptoms can be delayed for several days. Did you know that some auto accident injuries are hidden and are seldom detected for months? Not only are auto accidents an inconvenience and a hassle, a common redundant complaint of auto accident victims is that they don’t feel like their normal selves. You may also be experiencing obvious pains and symptoms like muscle stiffness or spasm, neck pain, headaches, numbness and tingling, back pain, difficulty sleeping, irritability, memory loss, fatigue, difficulty concentrating and many other difficulties. Or worse than that, you may be injured and feel nothing at all. If you have been in an auto accident, you need a doctor who is trained in the biomechanics of the human body; someone like our Weston chiropractors who treat these injuries every day. In addition, x-rays can be taken to find out if there has been any structural damage. In our Weston chiropractor office, we evaluate auto accident victims and make any appropriate referrals to other health care providers if needed. 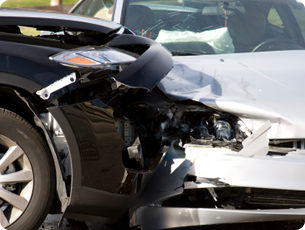 As Weston chiropractic physicians, we are skilled in treating injuries brought on by auto accidents. We can evaluate your condition and diagnose your problems. Once your injuries have been identified, you can begin a structured active rehabilitation program that is focused on reducing pain, restoring your range of motion and promoting a return to activities of daily living. One of the most common injuries from car accidents is whiplash. Nearly one-third of all motor vehicle accidents are rear end collisions, and it is this type of accident that is responsible for most whiplash injuries. When a car is struck from behind or collides with another object, it causes the neck to snap back and forth violently. This causes the muscles and ligaments to overextend, leading to strains and/or tears. This is referred to as soft tissue damage, and can cause stiffness and soreness. Whiplash can also cause structural damage such as misaligned vertebrae, herniated, bulging or ruptured discs, or nerve damage due to the overextension from the violent movement. Whiplash can become a painful, chronic problem if not treated. Whether you are experiencing soft tissue damage or structural damage, chiropractic can help with both types of injuries. Chiropractic adjustments and alignments can be performed specifically for those who have been in car accidents and suffered from whiplash. The pressure on the discs and nerves is released when the spine is returned to its proper alignment. Both chiropractic and massage can be used to help relieve the pain and discomfort from soft tissue injuries. Chances are, we will put you on a plan of therapeutic exercises to help in your rehabilitation. All people who have been in an accident or trauma should see an auto accident injury chiropractor to have their spinal columns checked for nerve pressure caused by vertebral subluxations or spinal stress. A chiropractic adjustment can make the difference between living an active life, or not, between a life with pain, disability and sickness and a life of true recovery, activity and accomplishment. Our friendly staff and health care professionals provide personalized care in our state of the art Weston chiropractic facility. Windmill Health Center offers access to chiropractic adjustments, massage therapy, therapeutic exercise, physiotherapy modalities, spinal decompression, and counselling. It’s your life – live it in health with Windmill Health Canter. I read this article and found it very interesting, thought it might be something for you. The article is called Auto Accidents and is located at http://www.windmillhealthcenter.com/conditions-treated/auto-accidents/.